Although the earth has been in a warm period – known as the Holocene – for almost 12000 years, the beginning of the current climate conditions in Europe seems to have come much later than that. The experts, including Dr. William Fletcher from The University of Manchester, identified a striking change in hydroclimatic conditions about five millennia ago, which corresponds with the establishment of climate mechanisms comparable to today's North Atlantic Oscillation. The North Atlantic Oscillation is the name given to the differences in atmospheric pressure between the Icelandic Low to the north and the Azores High to the south. These are accompanied by changes in rainfall, especially in the western Mediterranean and northern Europe. 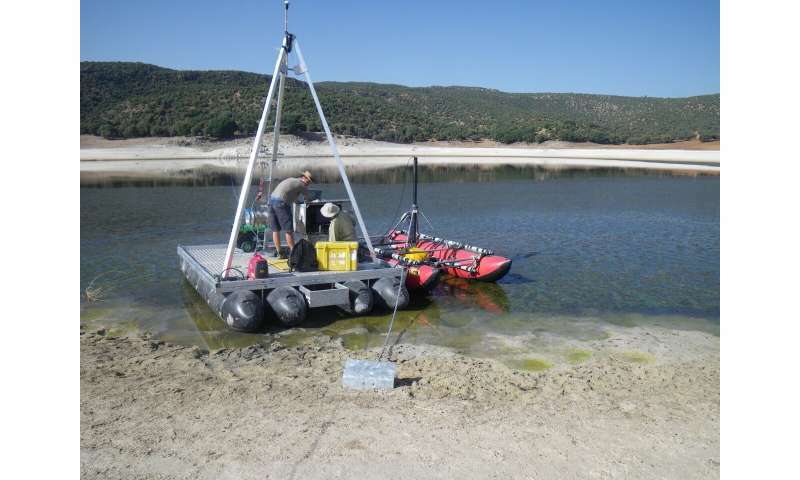 Dr. Fletcher and other geographers and geoscientists from the Universities of Leipzig, Marrakesh and Iceland examined the shells of tiny freshwater crustaceans called mussel shrimps from Lake Sidi Ali in Morocco. Based on oxygen isotope levels measured in the shells, the team were able to reconstruct Holocene rain anomalies for the western Mediterranean. They established a link between these anomalies and ancient weather change events in the North Atlantic. "Our data clearly indicates an enduring change in the atmosphere and the ocean in the North Atlantic some 5000 years ago. At that time, large climate mechanisms began to change—in the western Mediterranean, phases of increasing winter rain coincided with iceberg surges in the subpolar North Atlantic," says Dr. William Fletcher. "These phases are similar to current activity observed today in the North Atlantic Oscillation, which has a major influence on weather and climate events throughout Europe. The striking change 5000 years ago can thus be seen as the birth of our current climate in Europe," adds Professor Christoph Zielhofer of the University of Leipzig, who directed the project. "We assume that the abrupt shift in hydroclimate 5000 years before present was a threshold mechanism response of the European climate to a gradual change in long-term insolation," says Steffen Mischke of the University of Iceland in Reykjavik, who was also involved in the research. The results of this research have been published in the journal Climate of the Past.